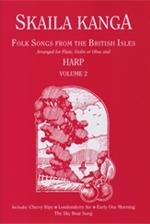 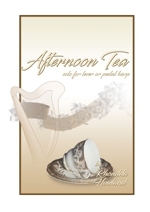 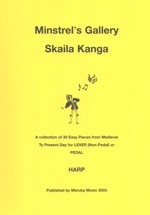 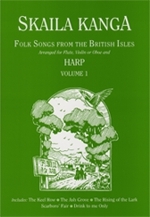 A collection of 30 easy pieces from Medieval to Present Day for lever or pedal harp by Skaila Kanga. 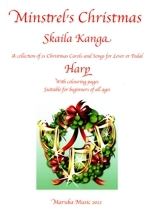 A collection of 25 Christmas Carols and Songs for lever or pedal harp by Skaila Kanga. 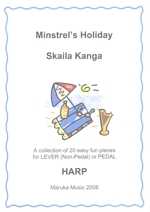 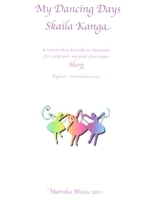 Skaila Kanga's third book in the Minstrel's series is suitable for Grade 1 -2 harpists. 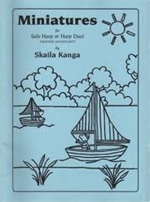 Arranged and edited by Skaila Kanga. 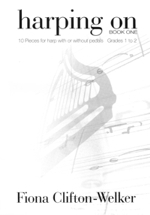 Six excellent arrangements of frequently requested jazz standards. 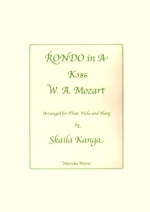 Ideal for background music and functions or for study and reference. 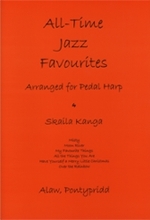 Delightful and brilliant original compositions by Skaila Kanga - another major contribution to the pedal harp repertiore. 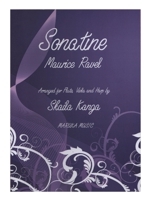 Ideal for concerts, background music and functions or for study and reference. 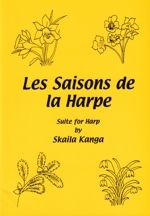 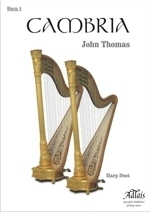 Composed by Skaila Kanga for solo harp or harp duet (optional second part). 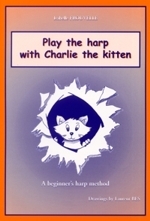 Great fun and a welcome addition to the young players' repertoire. 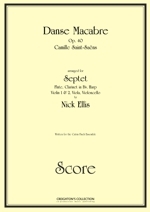 Supplied score and optional part. 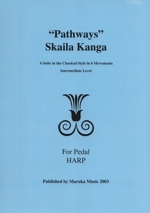 Five songs for intermediate to advanced level pedal harpists by Skaila Kanga. 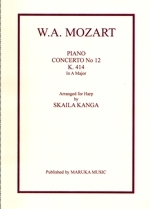 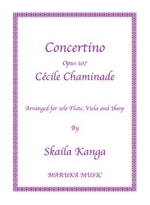 Skaila Kanga's colourful and imaginative arrangements of familiar pieces: ideal for concerts, background music and functions or for study and reference. 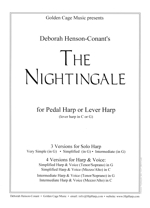 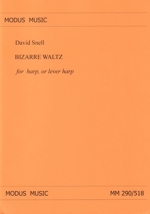 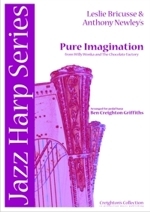 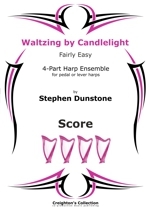 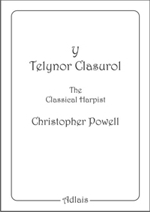 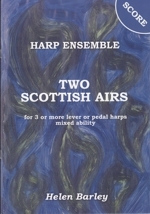 For flute, (or violin or oboe) and harp. 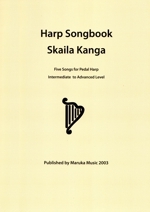 Arr for advanced level trio of Flute, Viola and Harp by Skaila Kanga. 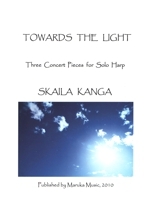 arranged for advanced level trio of Flute, Viola and Harp by Skaila Kanga. 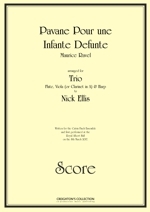 Comissioned by Amelia Freedman and the Nash Ensemble and first performed at the Wigmore Hall, London in December 1994 by Philippa Davies (flute), Roger Chase (viola) and Skaila Kanga (harp). 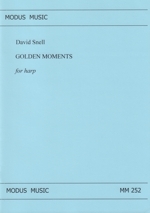 The suite consists of one part for pedal harp and two parts for lever harp, which could also be played on pedal harps if required. 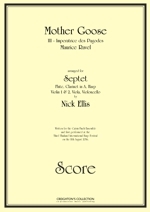 The suite was specially commissioned by the Anglo-Chinese Junior College, Singapore who gave the first performance in 2013. 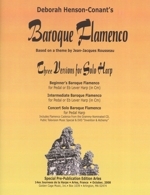 Includes practice CD with instructions.